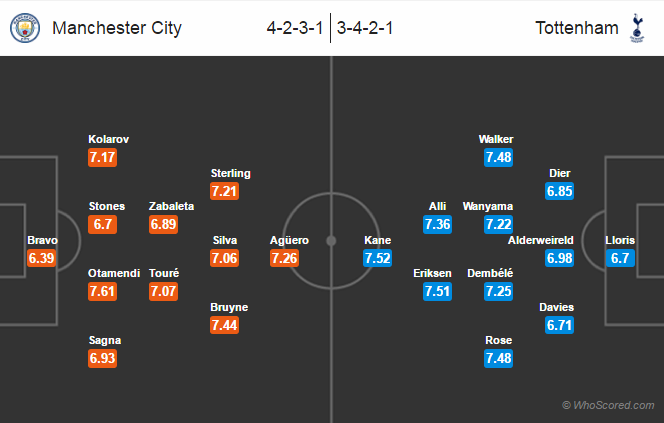 Premier League match preview Manchester City vs Tottenham, gameweek 22. Important things to know. Referee: Andre Marriner, Stream Guide: Watch Live. Ilkay Gundogan and Fernandinho both are out, the former is out through injury while the latter is suspended. Fernando is doubtful for this game, Pablo Zabaleta could start in the midfield once again. Gabriel Jesus is now eligible to play, he could be getting a debut. Skipper Vincent Kompany has returned but is not fit for first team action. Tottenham have only two concerns ahead of this game. Erik Lamela is doubtful through a hip injury, while Jan Vertonghen is out with an ankle problem. In the last six games between them, both the sides have two three. Spurs have won their last six Premier League games. Manchester City have won their last three home league games. Tottenham have won their last three games against Man city in all campaigns, scoring more than a goal in each of them. Man City have lost two of their last three league games. Manchester City 1 – 1 Tottenham. The home side likely to dominate possession. Spurs to score a goal in the start of second half.